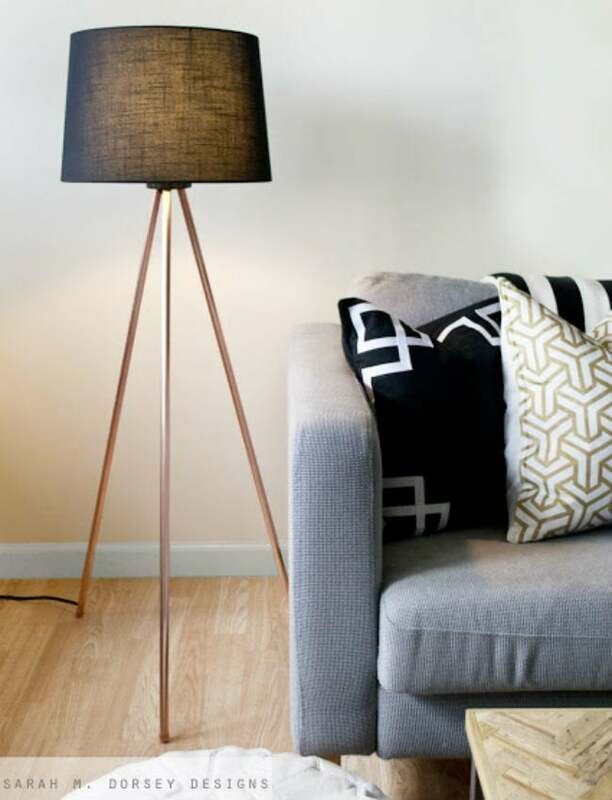 Never one to be set back by a steep price tag, this savvy blogger took matters into her own hands to craft a DIY floor lamp that was better than the original. 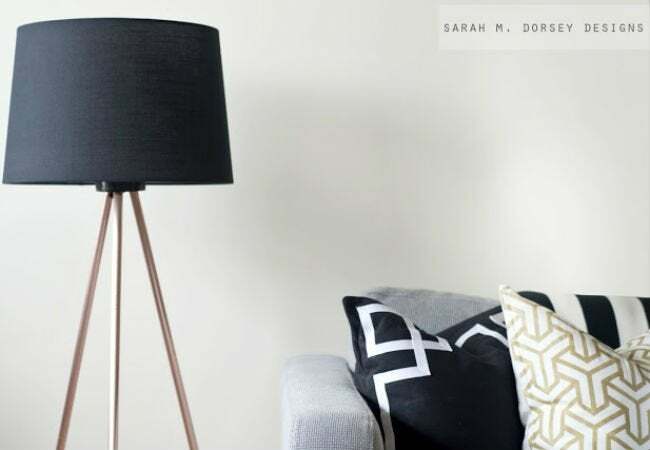 Inspired by a Design Within Reach floor lamp, Sarah of Sarah M. Dorsey Designs decided to try her hand at fashioning a DIY version that spoke to her new home’s decor. Continue reading to see how she got these stunning results using only a few materials. First, Sarah created a template to help mark where the necessary holes needed to be drilled on a 2×4, and then she cut a notch in the middle for the socket to sit. Next, Sarah used a jigsaw to cut around these markings, and sanded the piece down with an electric sander. After drilling holes in one of the cut-to-size copper pipes legs, Sarah threaded the wire through the holes and wired the socket. 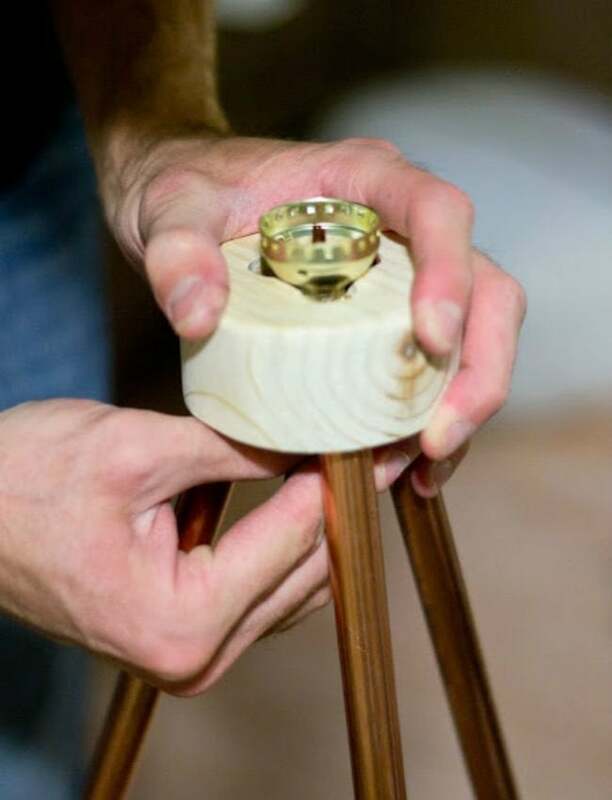 For an extra dose of style, she painted the mounting piece and polished up the copper legs. Sarah finished by reassembling the pieces after the paint and polish had dried, and flipping the switch. For the full tutorial, and for more attainable projects for your home, visit sarahmdorseydesigns.blogspot.com.